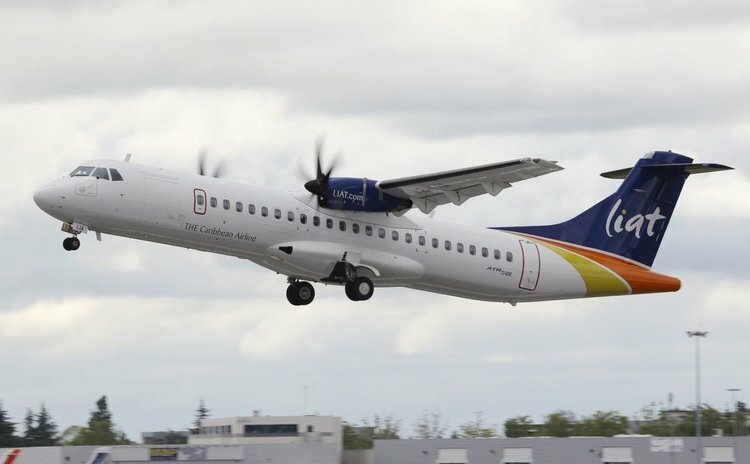 ST JOHN'S, Antigua - A new LIAT ATR aircraft has had to be towed from the end of the runway at VC Bird International Airport, the Daily Observer in Antigua reported today. "It was preparing for take-off Monday morning when it encountered difficulty. After about twenty minutes at the take-off point, passengers were shuttled back to the terminal via bus and the aircraft towed off the runaway. The ATR flight was to travel to St. Lucia then to Trinidad. LIAT says passengers will be accommodated on other flights," the newspaper reported. Meanwhile, a LIAT statement said: "shortly before 11:00 am, the aircraft developed a steering defect while taxiing at the V.C. Bird International Airport. The aircraft was moved to the ramp where it's being examined by the company's maintenance staff and will undergo the necessary repairs before being returned to service".